I love yema as a kid. As an adult I have to limit eating this candy because of its sweetness and high sugar content. 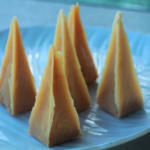 Yema is a sweet custard confectionery wrapped in colorful cellophane. It can be shaped to a pyramid or rolled to a ball. 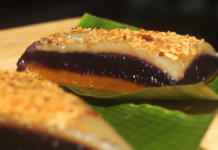 Making yema is not hard at all, with this easy yema recipe, you can have sweet and yummy treats ready in just an hour. Yema is a candy made of egg yolk, milk, and sugar. 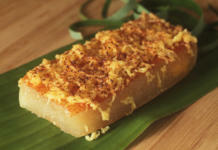 Its name is from the Spanish word yema which means “egg yolk”. 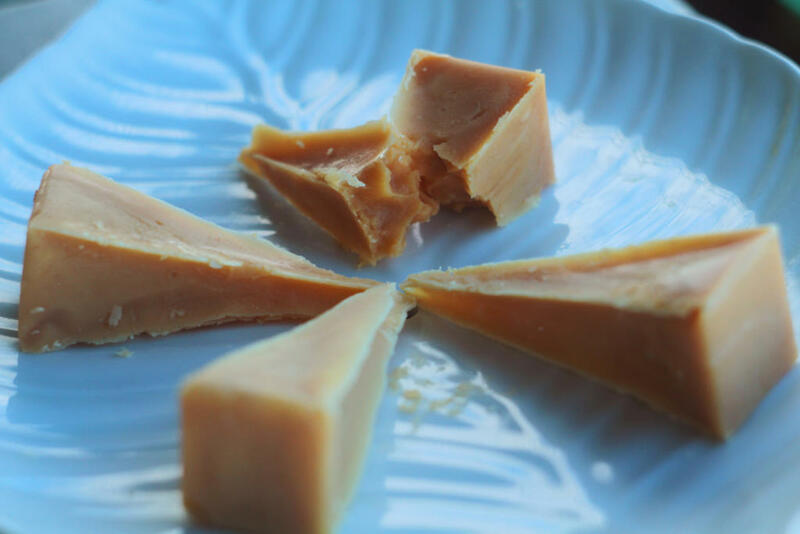 It is believed that yema originated from early Spanish construction materials when egg whites mixed with quicklime and eggshells were used as a type of mortar to hold stone walls together. The discarded egg yolks were reused to make various dishes like leche flan and yema. Yemas were originally made with only egg yolks and sugar, heated and stirred until the consistency is thick. Traditionally, it is covered in colorful plastic wrap and shaped into pyramid. 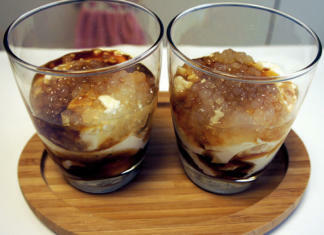 Modern variations include chopped nuts and sometimes shaped into a ball with sugar sprinkles. 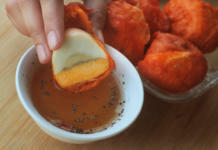 You can find it in specialty or pasalubong stores or being sold in the street usually by bus vendors. Yema has now evolved from being a candy to yema spreads and yema cake. 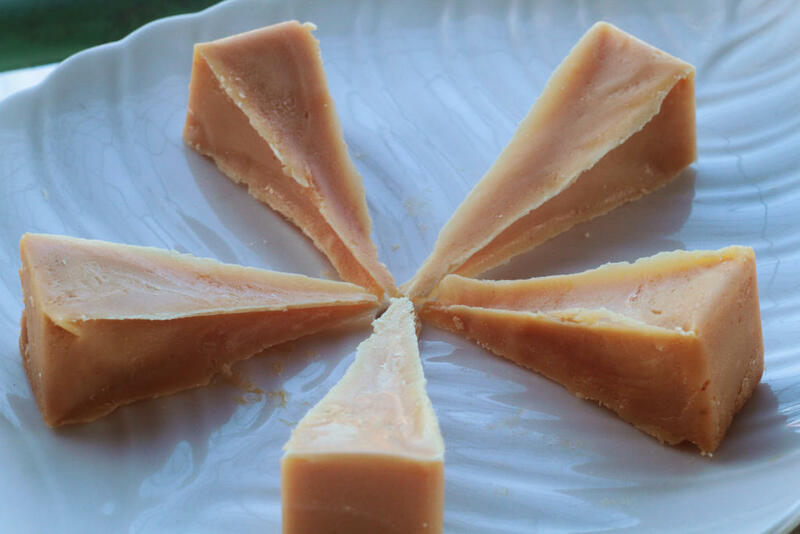 Let us know what you think with this quick and easy yema recipe. Yemas were originally made with only egg yolks and sugar, heated and stirred until the consistency is thick. Traditionally, it is covered in colorful plastic wrap and shaped into pyramid. In a bowl, combine egg yolks, condensed milk and lime zest or vanilla essence. Stir together until well-blended. In a non-stick pan over low heat, transfer egg and milk mixture. Cook, stirring regularly. Continuously scrape bottom and sides of pan to prevent burning. Continue to cook until the consistency becomes thick enough to form shape. Transfer the mixture to a bowl. Let it cool down. Cut the cellophane into 3×3 inch pieces. Scoop 1 tablespoons of mixture and place it on the wrapper. 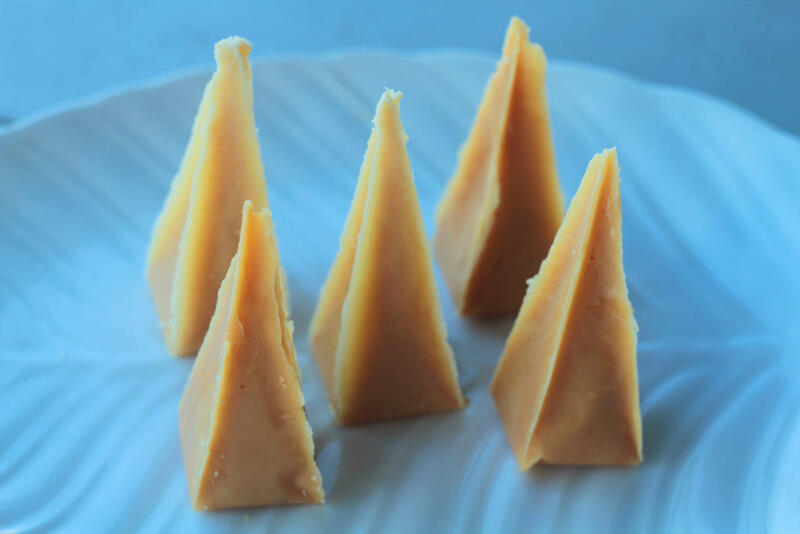 Wrap the yema while molding to form a pyramid shape piece. Continue to wrap the yema until all the mixture are consumed. Serve . Share and enjoy. You can choose color of the wrapping according to the theme if you will plan to serve it at a party. You can also add nuts if you want. Just mix it with all the other ingredients. See this video as a reference.